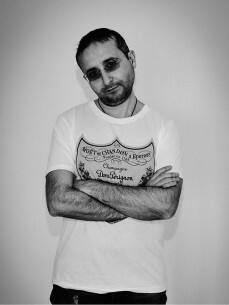 Viktor Martini is an Italian DJ and producer. Active on the national and international scene for some time, records have been among the favorite games of his childhood. His mother's passion for dance played a very important role in the growth of Viktor's love for music. By proposing to the public an original sound that includes deep house, tech house and techno, Viktor has established himself as an appreciated artist performing in various Italian and foreign clubs. In Rome he is currently resident of CHORUS and ZUMA, two of the coolest locations in the capital, where Viktor, together with Frank Master, is carrying out a very ambitious musical project involving other foreign artists often linked to Ibiza nightlife. Abroad Viktor has performed in several prestigious TOP clubs around the world like LIO, BLUE MARLIN, DESTINO and KM5 in Ibiza, the EGG in London, the PACHA of Ischgl (Austria), MYA Umbracle in Valencia, MADAME in Punta del Este (Uruguay), the DURAN BAR in Moscow, the RICH CAT in Minsk, etc. ; but also in official events of very important international musical events like ADE (Amsterdam Dance Event) and the King's Day in Amsterdam as well as the WMC - Winter Music Conference and the MMW - Miami Music Week. To give a fundamental impetus to the promotion of Viktor's musical message is also the contribution given by his residency in various radio stations such as Ibiza Global Radio, Ibiza Live Radio and White FM 103.7 (Ibiza). As a producer, Viktor is currently collaborating with the labels Reshape Records and Pink Lizard. • Devil pray - Madonna - 2015. Viktor uses to say: “About my music, I love sharing with the audience the tracks I think are the best records of the moment. In my sets I try to show my eclectic soul creating an original sound able to involve the people: when it happens I realize my goal: make the dance floor happy and dancing, by playing my favorite records”.